The team at Lenovo have been busy dreaming up new laptops and desktops to tempt your wallet in the new year, with two mid size laptops and a fairly beefy desktop unit being announced. Starting with the laptops, the IdeaPad Y460p and Y560p machines pack 14″ and 15.6 inch screens respectively, both in the 16:9 widescreen format and purr along on Windows 7. There’s a range of processors on offer, topping out with an Intel Core i7, while storage and RAM options max out at 750GB for the hard drive, and up to 8GB of DDR3 memory. With a strong focus on multimedia, the laptops featuring JBL speakers and Dolby Home Theater. Custom options for the IdeaCentre K330 take the CPU up to a Core i7 processor, with a maximum of 16GB of DDR3 SDRAM, backed by twin RAID0-configured hard disk drives. Up to 4TB of HDD storage can be built in, and there’s DirectX-11 graphics and a ton of optional add-ons, including an integrated DVD or Blu-ray player, TV tuner, and HD graphics support. The desktop comes with a Power Control Switch which lets user select appropriate power modes for the fan and CPU speed – Turbo Red for high speed and power performance, Auto Blue for regular operation and Cool Green for the silent, energy-saving mode. The IdeaPads will be rolling out on January 11, 2011, starting at $849, while the IdeaCentre will start at $699 and should be available in early 2011. We’re not sure about a UK release yet. RESEARCH TRIANGLE PARK, NC – December 09, 2010: Lenovo (HKSE: 0992) (ADR: LNVGY) today introduced the IdeaPad Y460p, IdeaPad Y560p and IdeaCentre K330, which all sport high-performance processors and are packed with multimedia features. The new PCs are perfect for young adults who seek the ultimate multimedia experience for watching movies, listening to music and playing games. “Lenovo is continuously expanding its product line to provide consumers with the latest advancements in multimedia and entertainment capabilities,” said Dion Weisler, vice president, business operations, Lenovo. The powerful and stylish IdeaPad Y460p and IdeaPad Y560p are high-performance notebooks that come packed with top multimedia features, perfect for entertainment seekers, gamers or those consumers who are always creating content to share with friends. Featuring the Second Generation Intel® Core™ Processor family, these 14-inch and 15.6-inch PCs are available with up to Intel® Core™ i7 processors. With up to 750 GB HDD and up to 8GB DDR3 1333 memory, consumers now can store more movies, music and games while enjoying enhanced-application performance. Lenovo’s RapidDrive feature combines 32GB SSD and HDD capacity to speed up system performance. The Y460p and Y560p, which come with 16:9 widescreen, also meet Lenovo’s Windows 7 Enhanced Experience certification, providing up to 33 percent faster boot up and 50 percent faster shutdown time as well as rich multimedia capabilities and easy system maintenance tools. Consumers who are looking for the ultimate entertainment setting will be pleased with the spectacular sound quality of the Y460p and Y560p, which is made possible by JBL speakers and Dolby® Home Theater™. The beautifully engineered notebooks come with OneKey™ Theater, allowing users to experience richer images and enhanced sound while watching movies with just the press of a button. Available with a metal hairline etching exterior and the choice of two interiors, metallic grey and white, the Y460p and Y560p are designed for easy use with a one-handed hinge open feature and user-friendly ports. Other key features include OneKey Rescue and Lenovo’s VeriFace™ face recognition. The all new IdeaCentre K330 desktop is the ideal PC for consumers who want the most thorough computing experience and desire the very best in aesthetics and high-performance capabilities. Boasting a sleek and powerful design with a metallic and vibrant color scheme, the K330 features up to Intel® Core™ i7 processors with Intel® Turbo Boost Technology 2.0. This ultimate desktop experience comes with up to 16GB DDR3 memory, increasing user multi-tasking capabilities, twin RAID0-configured hard disk drives1 and up to 4TB HDD storage, providing plenty of space for multimedia. The K330 desktop is packed with fun-enabling features to maximize time spent gaming, surfing the Web and utilizing all of its multimedia attributes. The Power Control Switch provides easy changing between three convenient power modes for the fan and CPU speed – Turbo Red for high speed and power performance, Auto Blue for regular operation and Cool Green for the silent, energy-saving mode. The entertainment doesn’t stop with the K330, thanks to advanced features, including an integrated DVD or Blu-ray Disc™ drive, optional TV Tuner and HD graphics support. With full HD 1920×1080 resolution and DirectX 11 graphics, users can experience vibrant video imaging and high-power gaming effects. The IdeaCentre K330 also features the Lenovo Dynamic Brightness System2 to adjust screen brightness based on ambient light and the Lenovo Eye Distance System3 to alert users when they are too close to the screen for ultimate eye protection. The OneKey Recovery makes data backup and recovery a simple one-touch task while the tool-free CPU design eliminates the need to use a screwdriver to open the K330 so upgrades and replacements are quick and easy. 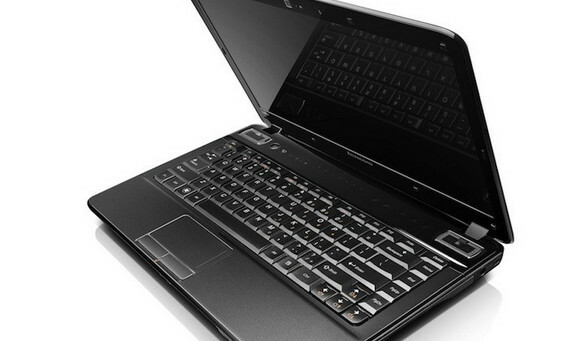 The Lenovo IdeaPad Y460p and Y560p laptops are available beginning January 11, 2011 and will start at $849. 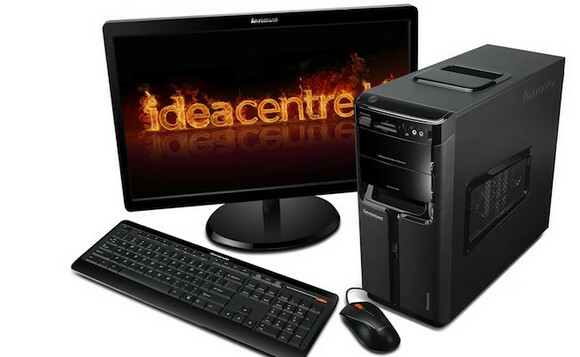 The IdeaCentre K330 will be available in early 2011 and will start at $699. All of the devices will be available on Lenovo.com. For the latest Lenovo news, subscribe to Lenovo RSS feeds or follow Lenovo on Twitter and Facebook. 1 Optional feature; requires using twin-matching hard drives. 2 Requires Lenovo monitor with webcam. 3 Requires Lenovo webcam. Prices do not include tax or shipping and are subject to change without notice and is tied to specific terms and conditions. Reseller prices may vary. Price does not include all advertised features. All offers subject to availability. Lenovo reserves the right to alter product offerings and specifications at any time without notice.